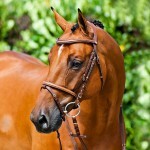 HORZE - Raised padded flash snaffle bridle with fancy stitching. RRP: 69,95 € tax incl. Are you looking for a bridle with a little something extra instead of the plain and simple look ? 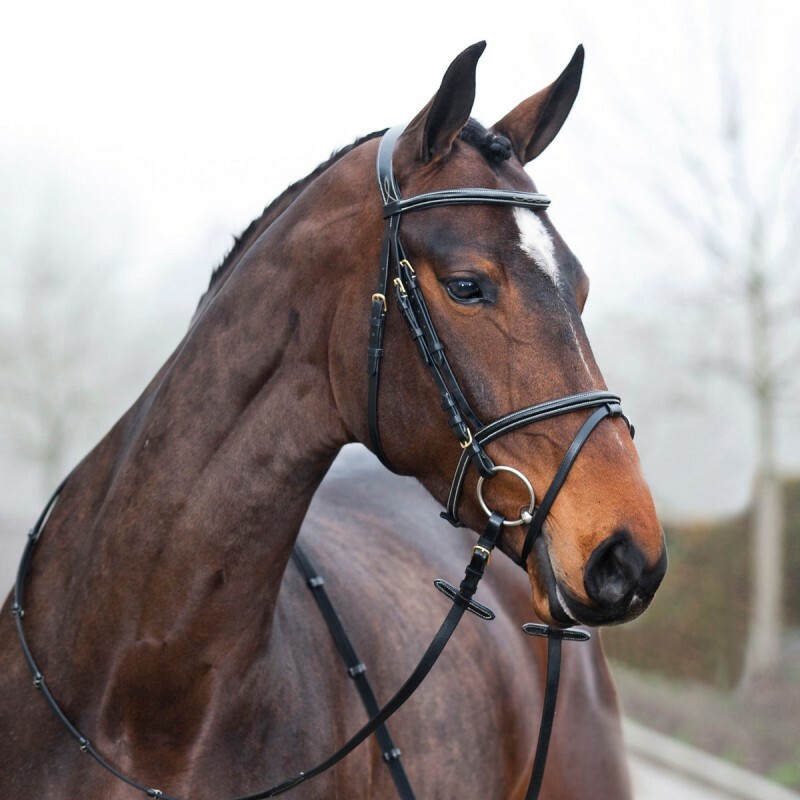 The CONSTANCE Snaffle Bridle is the answer. Soft, supple raised leather enhanced with intricate stitching come together for a sophisticated, elegant look. A flash noseband and “mono” crown integrates the throat latch and crown piece in one unit that is very comfortable for your horse over his poll. Padding in the noseband and crown provides equal pressure distribution in the areas your horse needs it most to perform at his best. 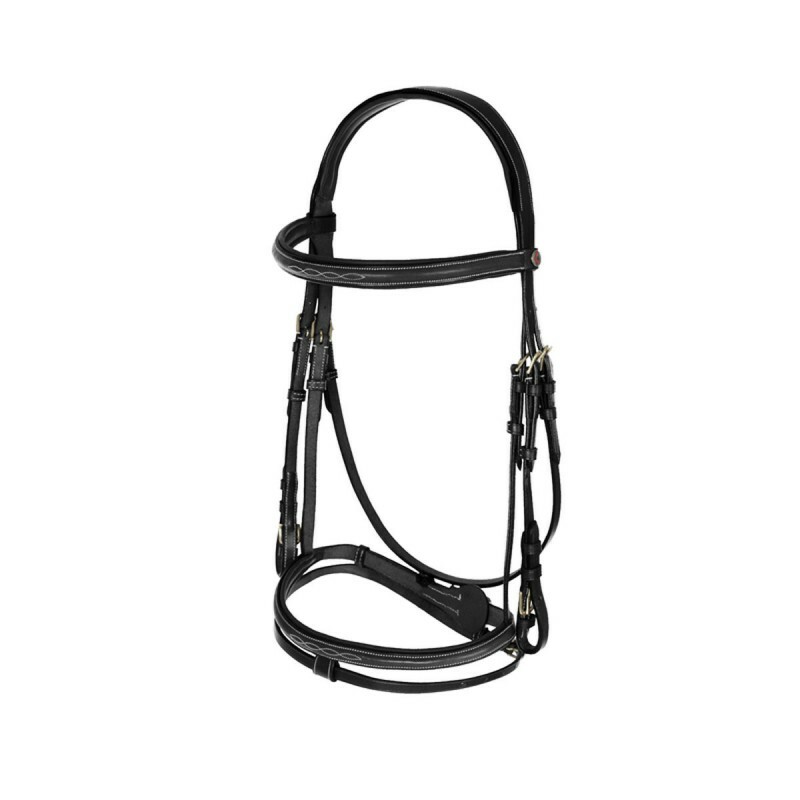 This bridle provides high quality for the price. Wipe clean. Leather cleaner and protector may also be used.